Town of Italy (Emilie), founded by the Etruscans. 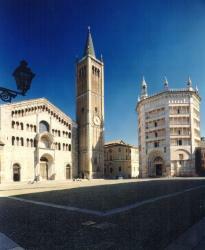 Romano-Gothic unit of the cathedral and the baptistry (see opposite). Yielded to the Holy See in 1512, Parma is set up in duchy independent by the pope Paul III with the profit of his nephew Pier Luigi Farnese, whose dynasty lasts until 1731. In 1748, the city and the duchy pass to Philippe de Bourbon. On March 21,1808, Spain yields the duchies of Parma and Piasanca to France by the Aranjuez treaty. 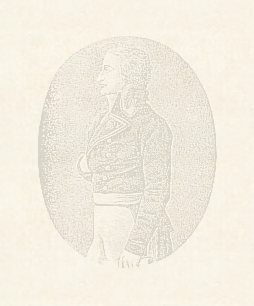 A senatus-consult of the May 24,1808 joins together the duchies of Parma and Piasanca to form the French department of Taro. In 1815, the congress of Vienna gives the duchy of Parma on a purely basis for life with the Mayor-Louise ex-empress. In 1847, the duchy is given to the Bourbons after the death of Marie-Louise. 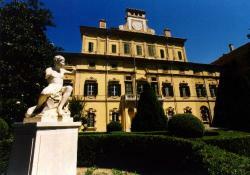 In 1860, Parma is attached to Piedmont. Created on March 10,1808, the duchy of Parma was constituted on March 24,1808 with retroactive effect at the January 1,1808. Cambaceres never come in his duchy, which was composed of buildings and rural estates confiscated with the female religious congregations in the Parmesan state. He delegates the management of these multiple land goods : first of all with the general Beauregard, director of the the Registry Office in Parma, then with Mr Allard. In accordance with the Cambaceres’s instructions, he optimizes the management of the goods of the duchy, which pay often more than the 150.000 F envisaged by the majorat. Accounts presented by Mr Allard at Mr Robin.